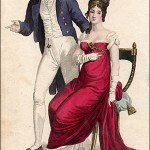 La Belle Assemblée, July 1812. 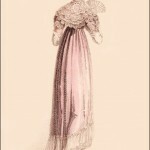 This must have been a Very Important Dress, as it is fairly dripping in sapphires and pearls. 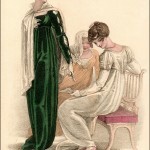 The description suggests it is an Opera or Gala Dress. 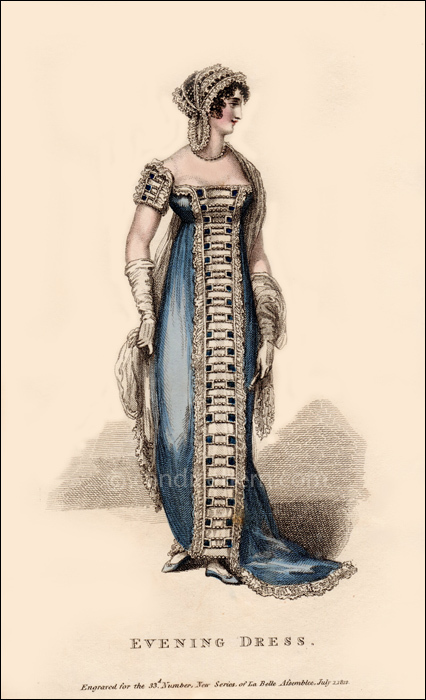 This jeweled ensemble is certainly not the usual half dress would would wear the the opera, but perhaps there was some sort of gala performance that was a much more formal occasion.